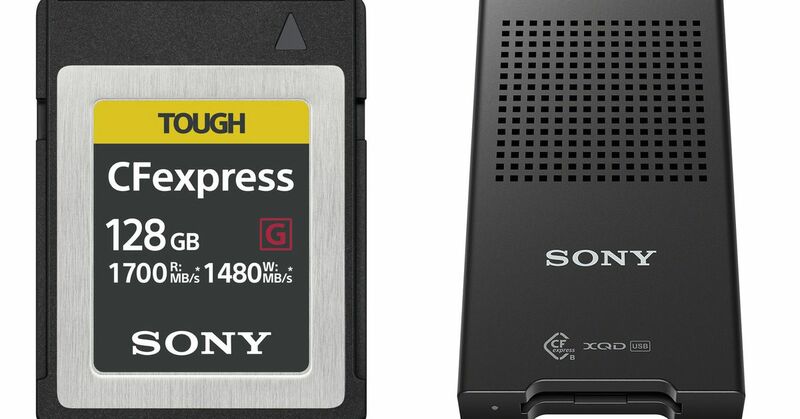 Sony has announced the new CFexpress Type B spec and its newest CompactFlash memory card that is supposed to be faster than anything else on the market. The new cards read and write speeds are 1,700 MB / s and 1,480 MB / s, respectively. That stomps out Sony's previous fastest card, which topped out at 630MB / s.
and optimized specifically for the Type B card. It is designed to be durable, with up to 70N or bend force, and can withstand falls from up to five meters high. The card reader also comes with Sony's Media Scan Utility and Memory Card File Rescue, two free desktop apps that assist users in managing their new super fast memory cards. While microSD and SD cards are more common in smartphones and cameras, respectively, CompactFash cards are still used in high-end camera equipment. In a studio scenario, where filming happens for long durations and recorded files are getting larger with the arrival of 4K content, having faster read / write speeds is a big advantage over older, slower cards, even if cards are smaller and less cumbersome. Regarding availability, Sony's new CFexpress memory card and MRW-G1 card reader will launch in the early summer of 2019, with pricing to be announced.